You can easily make a DIY journaling notebook using an Xcut Anywhere Stapler. You can make these notebooks any size, but if you want to make it a really easy process, just use square measurements and paper like 8×8 or even 12×2! 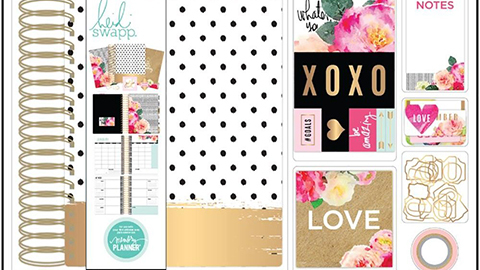 Find patterned paper that you love and cut to a size of notebook that you want. This will be your notebook cover. 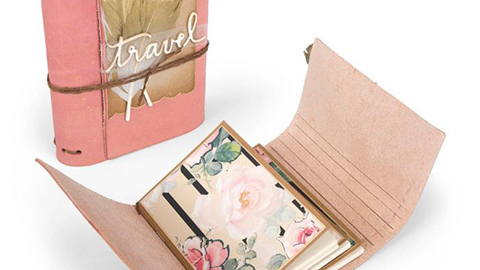 Janette uses a First Edition Wanderlust Paper Pad in 8×8 size, which makes a 4×8 notebook when complete. Corner punch your cover paper with a corner punch and laminate for increased durability(optional). Score your cover in the middle. Grab your filler paper (Janette uses regular A4 copy paper) and trim to size. (Cut it down slightly smaller than your cover size. Janette uses an 8×8 cover so she trims down her filler paper to 7 7/8 in. x 7 7/8 in. If you corner punched your cover, then corner punch your filler pages to match. Score your filler paper down the middle and layer it on top of your cover (no special stacking or layering is required). Staple 3 times along the centre score line using your Xcut Anywhere Stapler. You can also use a long-reach stapler or do some stitching along the centre score line with a sewing machine or by hand. What is journaling and how do you make your own journal?